I have basically finished my blog makeover. There are a few things I might change over the next few weeks (like my new Twitter/Pinterest/Facebook buttons, think the font is too narrow) but I'm reasonably happy with it as it stands. I intend to still create a new blog header, but I want a cartoon version of myself so I am going to have to trust someone on etsy to complete that, I don't think I am creative enough. 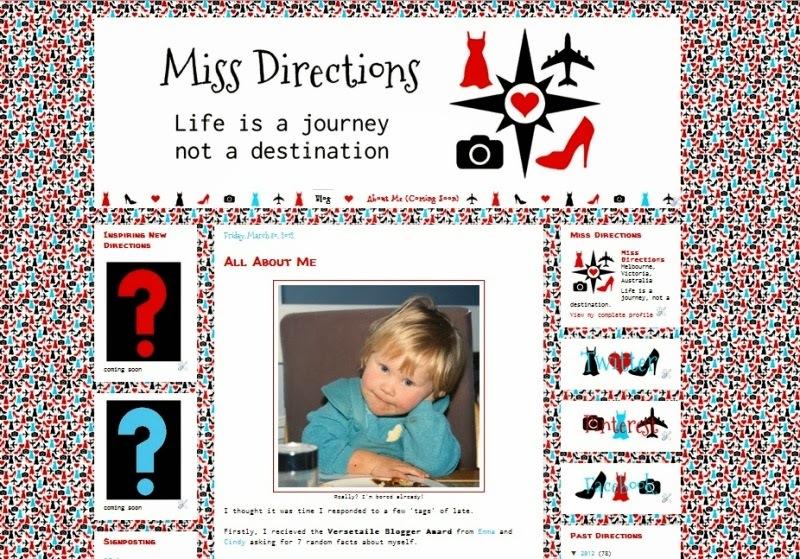 Oh and finally get around to writing an 'About Me' page, at least I can use my last post for inspiration! Hi. I really like it so far. But I thought you ought to know that on very widescreen computers such as the one I own, the shoe/dress/plane pattern has a lot larger space and it's a bit hard on the eyes to have that much of the pattern in your peripheral vision. It looks great! Love your blog! Looks fab! How clever are you?